A well reputed Educational Institute offers BZU Jobs 2019 Bahauddin Zakariya University Multan Latest Advertisement. 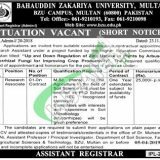 BZU Bahauddin Zakariya University Multan is looking to hire faculty staff for Project funded by Higher Education Commission of Pakistan titled: “Up and Down-Regulation of Zinc Uptake in Plants by Arbuscular Mycorrhizal Fungi for Improving Crop Productivity”. Due to this purpose, it is seeking for highly educated, very experienced, hardworking and well-disciplined candidates for the following position such as (Research Associate) based at BZU Multan. Candidates willing to apply should be MSc (Hons)/MPhil Agriculture in the field of Soil Science qualified and also enrolled as PhD Scholar in HEC recognized university. 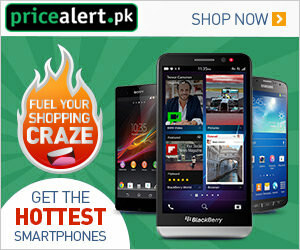 The appointment will be on 01 Year which is extendable subject to availability of funds. Now, in the following, we'll talk about how to apply the procedure for the vacant positions. The applicants must submit their applications on plain paper along with CVs and attested copies of educational certificates to the following address given below. Applications received after the last date will not be entertained even though posted before the last date.